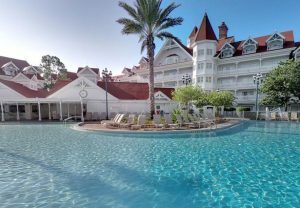 Police are searching for a toddler who was dragged into the water by an alligator near one of Disney’s premier resorts. The reptile clenched its jaws around around the two-year-old and pulled the child into a nearby lagoon. 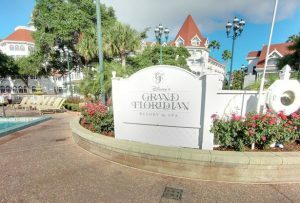 The drama unfolded near the Grand Floridian Resort & Spa hotel, a popular Disney destination with Brits. Sheriff’s Office spokeswoman Rose Silva said the toddler was last seen at 9.30pm being taken into the the Seven Seas Lagoon. Police are searching the waters and have put crime-scene tape around the water. The hotel is a high end luxury resort owned by Disney. 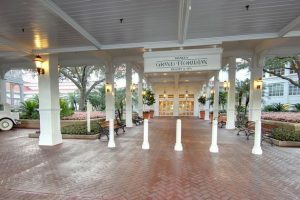 It is one of three hotels linked by the park’s monorail line and just one stop away from the Magic Kingdom Park. The child’s name was not available. It was not known if the child or his family were guests at the hotel. Hotel guest A.J. Jain and his family were visiting Disney from Georgia. 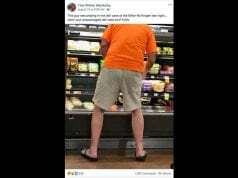 He told the Orlando Sentinel he and his children were playing on the beach near the scene of the incident earlier Tuesday. He told the newspaper: “I’m just here to say a prayer. With sweltering heat and the magic of Mickey Mouse, the area was the most popular destination for Brits last year. Orlando is a magnet for families thanks to Walt Disney World and other attractions seeing almost one million UK visitors in the past 12 months.